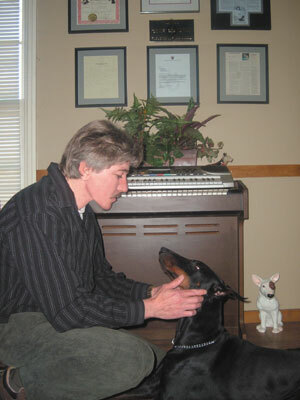 World-Class Dog Training To Develop A Well-Adjusted, Happy, Obedient Dog. A well trained dog offers exceptional companionship, giving you and your family many years of enjoyment, companionship and shared pleasure. Our program goes beyond mainstream obedience training ... "sit", "stay", "heel", and "come". An overall, obedient attitude can be developed. The positive effects of properly educating a dog and owner, using our training methods, are endlessly rewarding. We provide the best dog owner training available. We focus on the natural order that canines expect and teach you how to fit in that natural order. We use no treats, clickers, pinch chains or other such unnecessary gadgets or tricks. Our approach centers on teaching you about your dog, its natural instincts and personality, and helping you learn to provide the leadership that your dog so keenly desires, even requires, to be a happy, well-adjusted member of your "pack". Some typical behavior problems with your dog may include: housebreaking, barking, chewing, digging, car chasing, fighting, turning over garbage cans, jumping on people, pulling, wandering away from home and jumping on furniture. Our approach to behavior modification can solve these problems. Frankly, training a dog is the easy part, after many years and thousands of dogs. What is difficult is training dog owners. In order to help you be a successful leader of your dog, we must help you become competent at seeing the world through the eyes of your dog, thinking like a dog, and understanding how interact with your dog in a way that makes sense to a dog. Our approach simply makes traditional "dog training" obsolete. Having a positive way to communicate with your dog eliminates confusion and stress and promotes a long, harmonious relationship. We can help you create that harmonious relationship. Just give us a call at 205-664-6910 or 866-664-6911. At Ralph Gibson's World of Dogs, we strive to eliminate any confusion between animals and humans. We do not use any outside reinforcements such as shock collars, food, treats, drugs, pinch chains, bribes, force, intimidation or punishment of any kind. We have the best, most effective and humane training programs available anywhere, focused on enhancing the relationship between the human and the canine. Founded in 1984, By Ralph W. Gibson, Ralph Gibson's World of Dogs has trained over 15000 people and dogs. Complete training and boarding facilities are staffed 24 hours a day, 365 days a year. Training programs are available across a wide spectrum of potential requirements, from simple obedience training to advanced protection training. For many years Ralph Gibson has been actively involved in dog rescue efforts and is a recognized expert in the training of traumatized or overly aggressive dogs. For more information on Ralph Gibson click here. 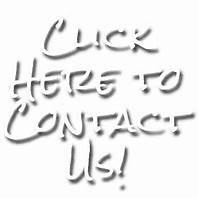 Feel free to contact us at any time or click here to use our Contact Form. Please note that we operate on an appointment basis only.